Jewish Lights Publishing, 9781580233996, 224pp. Whether you are planning to participate in, contribute to, or lead a Passover Seder, Leading the Passover Journey will help you relive the Jewish People's legacy of survival, hope and redemption, and reconnect with the rich heritage celebrated in this special event. Reclaim the hidden meaning of the Passover Seder. Connect the pieces of the Haggadah narrative into one meaningful, cohesive story. 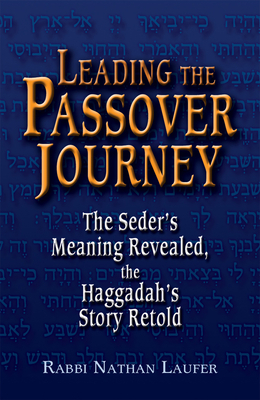 From preparing for Passover to understanding the order of the Seder, from eating the meal of freedom in the house of slavery to reenacting the saga at the sea, this fascinating exploration of the texts and traditions surrounding the most celebrated event in the Jewish calendar will awaken latent knowledge and provide new understanding. It will empower you to fully understand and identify with the complete story of the Jewish People's journey of liberation.